These metallic hammered long metal stars add a unique fun look to your home and garden decor! Hang these unique long metal stars on your wall for metal wall stars, inside, outside, whatever you decide... These unique long decorative metal stars are sure to be an accessory that you will love. The paint used on these long barn stars create a rugged hammered look! Our metallic long metal stars are NOT like those made of thin tin barn stars. 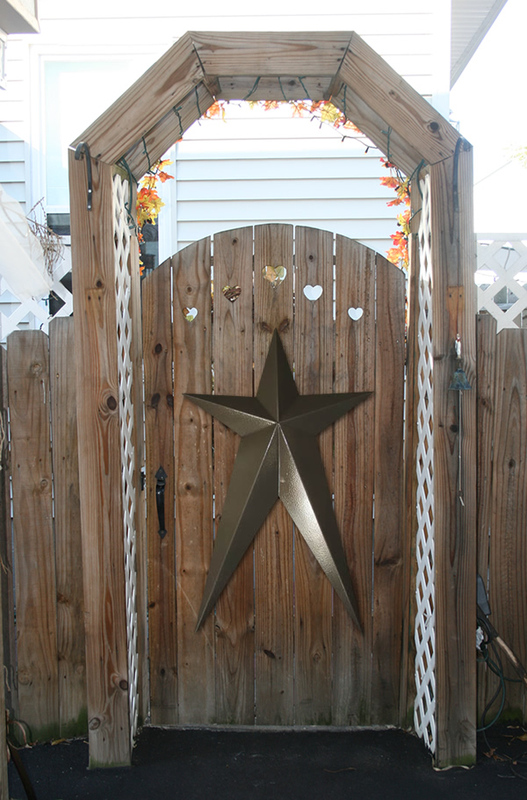 Our metallic long barn stars are made by the Amish here in Ohio and made from HEAVY DUTY 22 gauge metal with a galvanized coating. This means NO RUST running down the side of your house from the back of the star. If your looking for quality unique long barn stars for sale you can buy yours today! Galvanized metal is specifically treated and will not rust. No rust running down the side of your house or building from the back of the star with our galvanized metal. All Amish barn stars come with a welded hang tab on the back. These metallic stars are safe for outdoor use too! All long stars are measured left to right (tip to tip), top to bottom (in a standing position), and handmade therefore approximate.